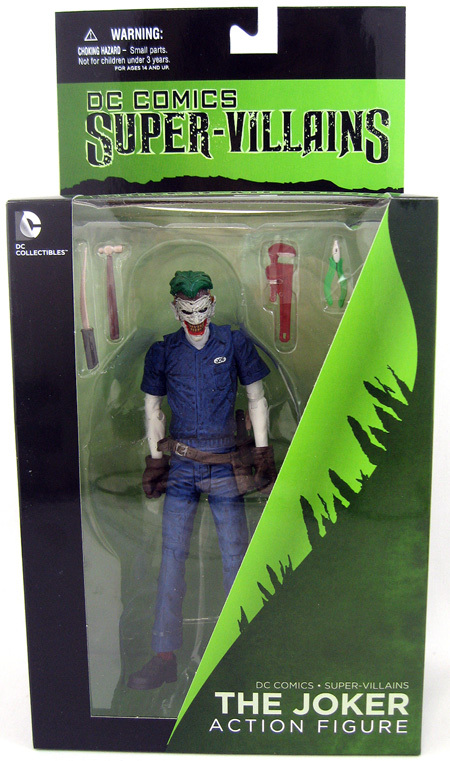 The New 52 look of Batman’s arch nemesis, The Joker perfectly captured with this action figure based on the designs from the “Death of the Family” story. This figure comes loaded up with some terrific goodies. There’s a silver revolver, with an opening breech and spinning cylinder. There’s also a BANG flag that can be inserted into the barrel. He also comes with a straight razor, which opens and closes of course. The handle has a pearlescent look, and it is properly scaled. While guns are always good, this Clown Prince also has a pack of dynamite, and the fuses are metal. This makes them sturdy, with the added bonus of poseability. The dynamite wouldn’t be very useful without something to light it, and he has a gold lighter, open and with a sculpted flame. 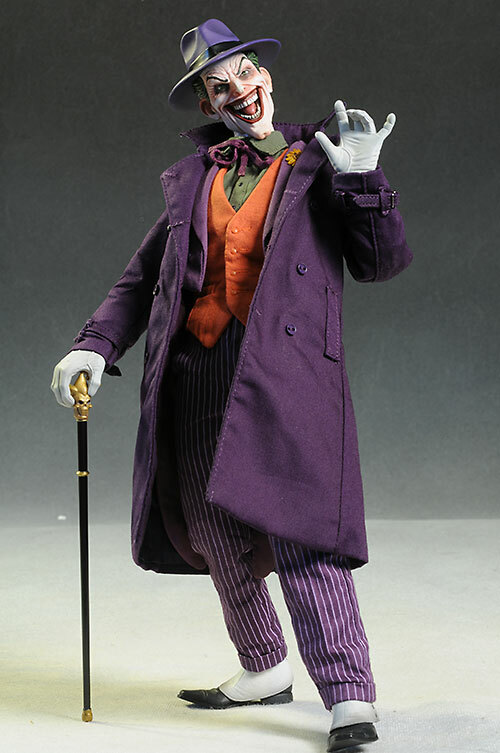 Don’t overlook his cool cane, with the gold topper, as well as his pack of Joker cards. And if that’s not enough for you, there’s the cool display stand. The sculpt and paint on these is outstanding, and they fit perfectly in his hands for a ton of posing possibilities. I highly recommend you pick up the exclusive – the fish are just that cool. Order yours today.